PHOENIX, AZ, UNITED STATES, November 6, 2018 /EINPresswire.com/ — Next Generation Living Homes, Inc.’s CEO-Founder, Mr. DZahr, has signed agreements with BIX Real Corporation BixReal.io and has become an advisor for the tokenization of the Bitcoin House to raise capital for the NextGen Bitcoin Blockchain homes. BIX Real payment system will allow the Buyers of Bitcoin Homes to purchase a home and make secure monthly mortgage payments in Bitcoins or any other currencies. 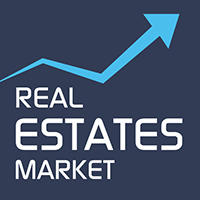 NextGen is also exclusively represented by Real Estates Market https://www.realestatesmarket.com/, Florida based luxury real estate brokerage firm, which works with over 4,000 real estate companies in the United State and internationally with 12 countries, including Monaco, Mexico, Bermuda, Malaysia, Sweden, United Kingdom, Indonesia, Hong Kong, Switzerland, Qatar, Saudi Arabia, and UAE. NextGen unveils the First SELF-PAYING Home Mortgage to the World, with the release of the Bitcoin Home, styling in a Crypto-Crib! There is a paradigm shift coming to home ownership with the First Self-Paying Home. Mr. DZahr, CEO of Next Generation Living Homes, states; “We are in an age of technology enlightenment. So far, we’ve been looking at home purchases from the bottom up, asking ourselves: Can I afford this home? Now, can we start looking from the top down, asking instead: What can I have, if I have a self-paying home?” What we have here is both Innovating and creating Real value! NextGen is developing the 1st Blockchain Tokenized home on BIX Real platform, the future that is a magic carpet ride of having your home become the Bank for your lending. Today the Bitcoin home can deliver a whopping $500,000 revenue stream monthly. This income can pay back your mortgage or simply you get paid to enjoy life in a luxurious technology mansion without the worries of working for a living. Think of a 40-50 year mortgage–now you can instead pay-off your multimillion dollar home in 5-10 years, based on the value of Bitcoin. Now your home works for You, so you can enjoy LIFE as it should be! NextGen has now brought to life what they’ve conceptualized over the past 9 years-the firm belief that life needs to be changed for all home buyers. With the introduction of cryptocurrencies, and especially Bitcoin, the world is changing globally. Bitcoin is a decentralized cryptocurrency that has a fixed cap of $21M Bitcoins, making its value based on a limited circulation of coins, and to maintain all the transaction processing worldwide, Bitcoin miners do this very well. NextGen has taken this banking entity, and rather than borrowing money from a bank, the Bitcoin mining rig included in the purchase of the home becomes your own bank, earning Bitcoin transaction processing fees worldwide. These earnings are based on specialized mining computers that can generate substantial revenue with NextGen’s 40-foot mining container. 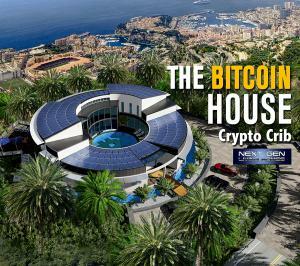 The NextGen Bitcoin house brings a paradigm shift to the real estate industry also by creating new valuations on comps for homes. Does your home generate an income? If it does, its valuation has changed dramatically! Our Bitcoin House has an added valuation to all our blockchain homes by earning $6M to $12M per year–above and beyond the comp value. No other home in the world can deliver this value proposition in home purchasing. Not only are you buying a home, but you’re getting an income with it.